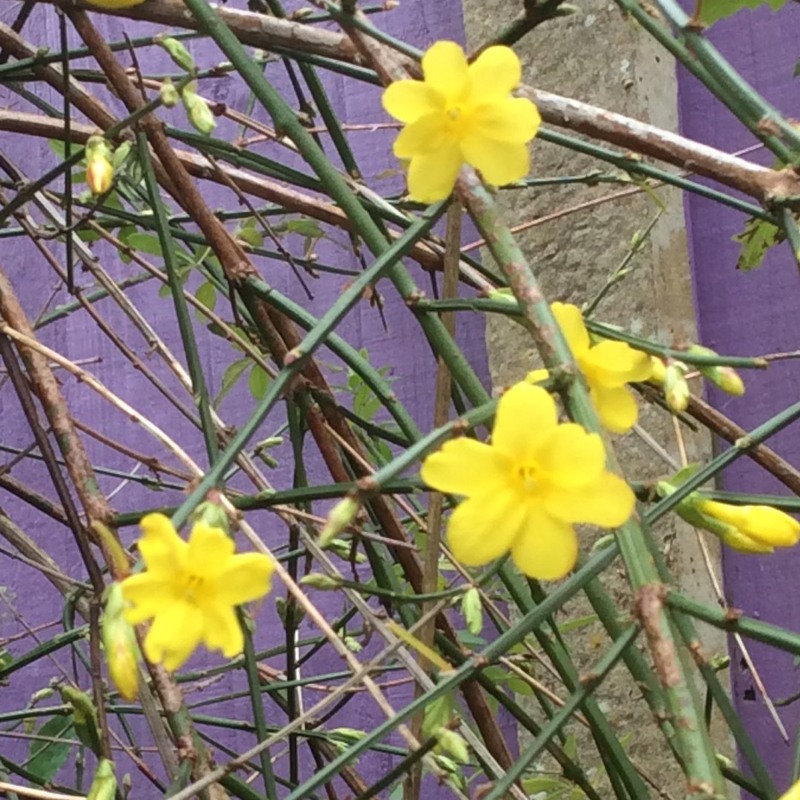 Jasmine (taxonomic name Jasminum) is a genus native to tropical and warm temperate regions. 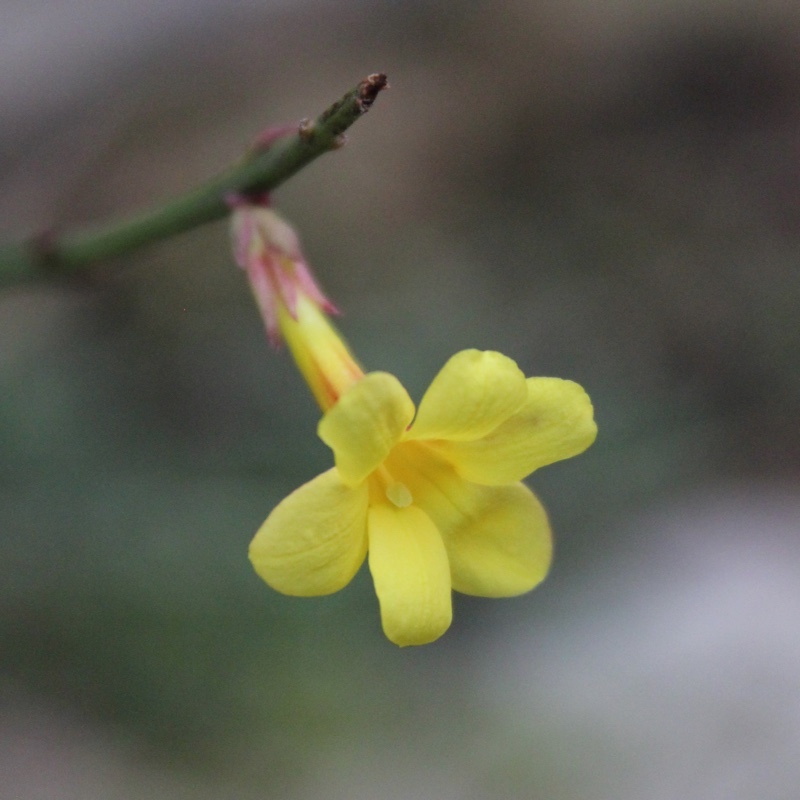 They are widely cultivated for the very fine fragrance of their flowers. 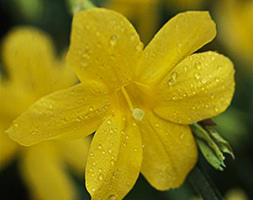 They are commonly grown in gardens, as a house plant, and as a supply of cut flowers. 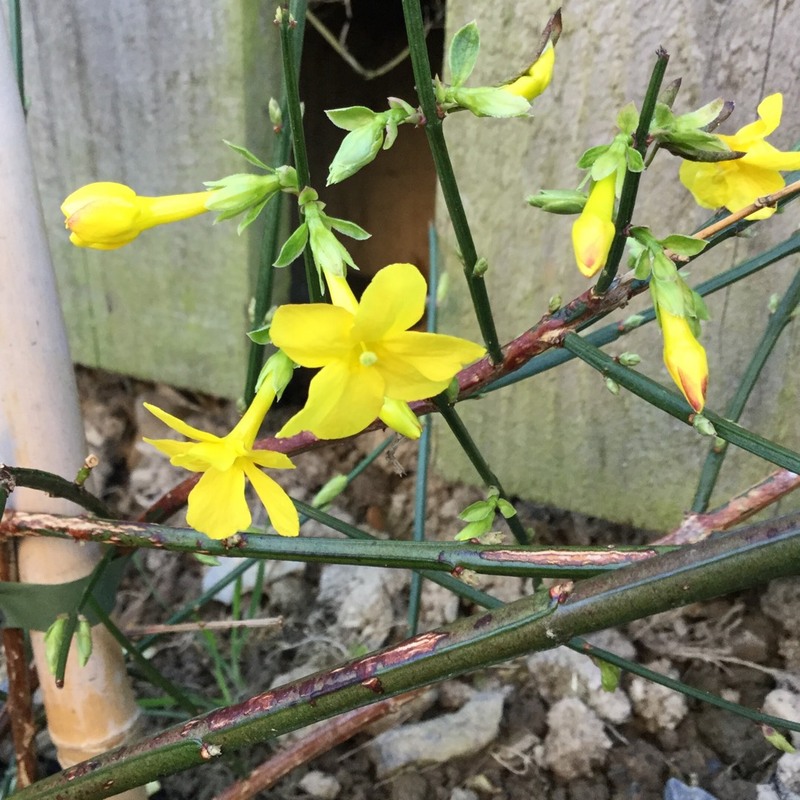 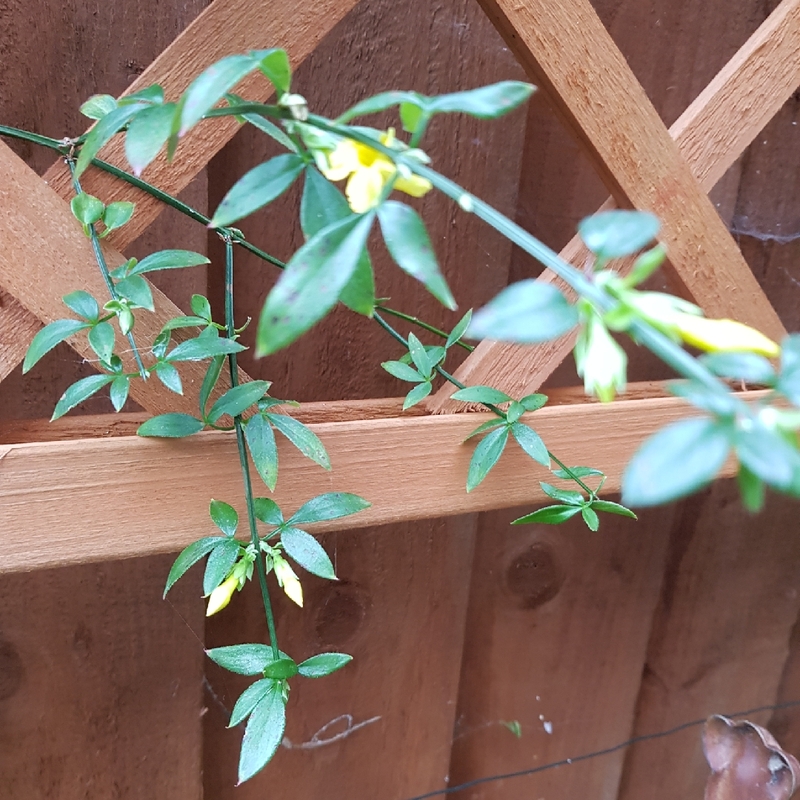 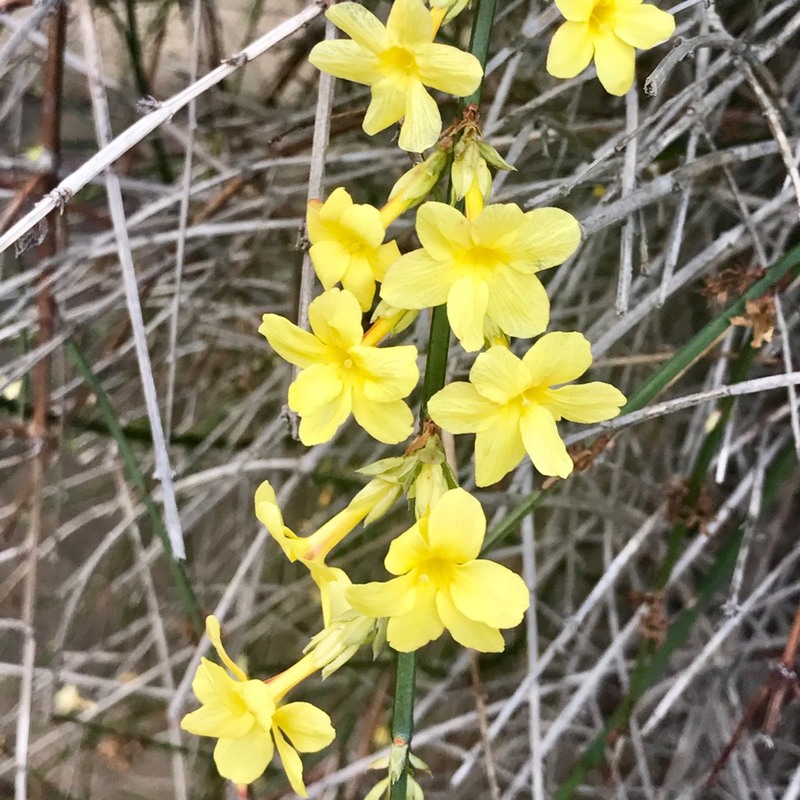 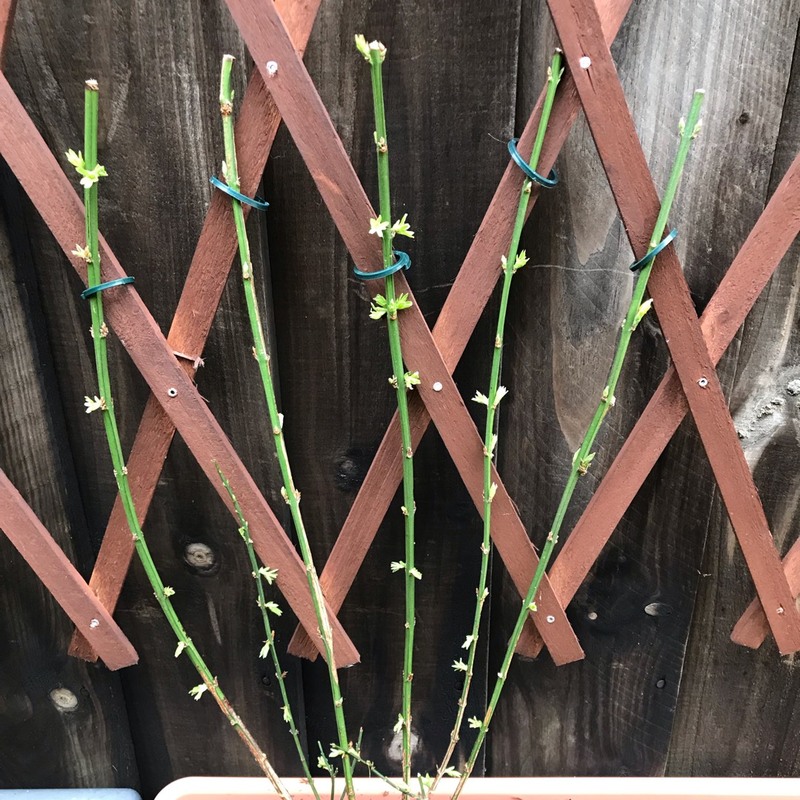 Winter jasmine has star shaped yellow flowers on bare stems which are quite wiry, it is easy to train on wires or a trellis. 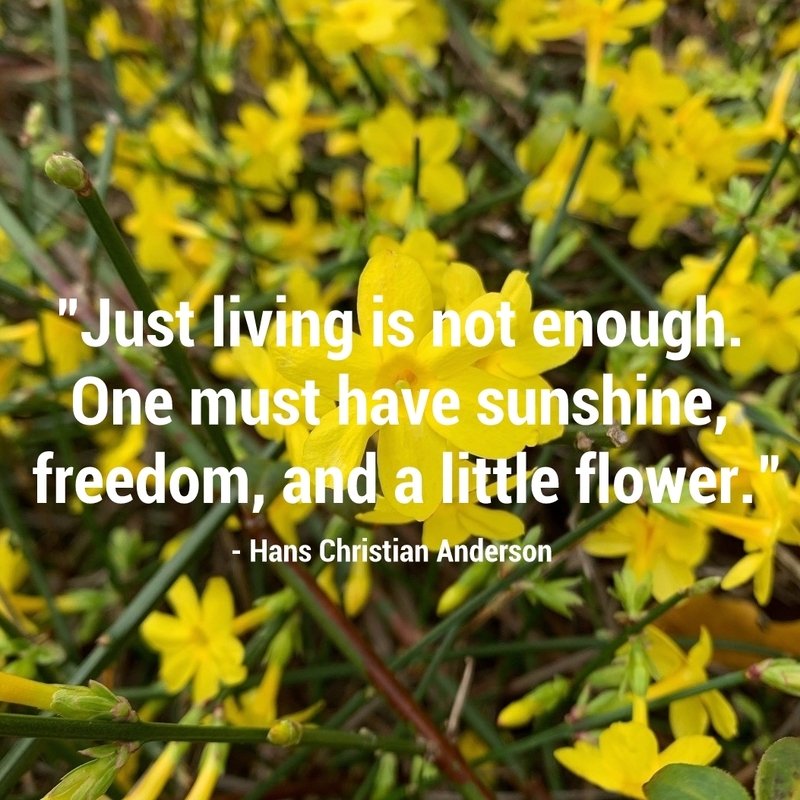 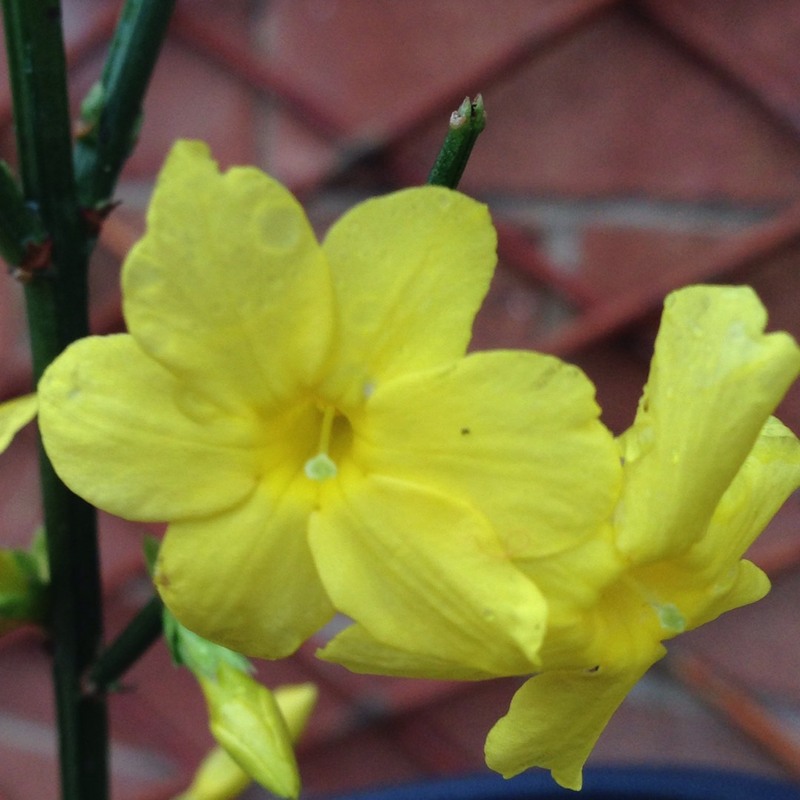 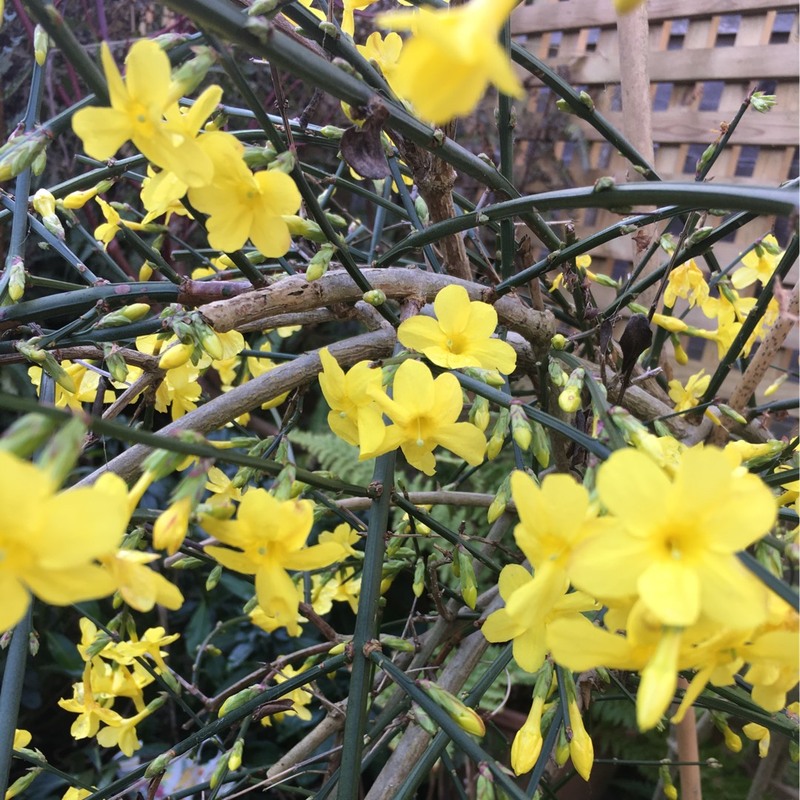 Jasminum nudiflorum (winter jasmine) is fully hardy and can be grown outdoors throughout the UK. 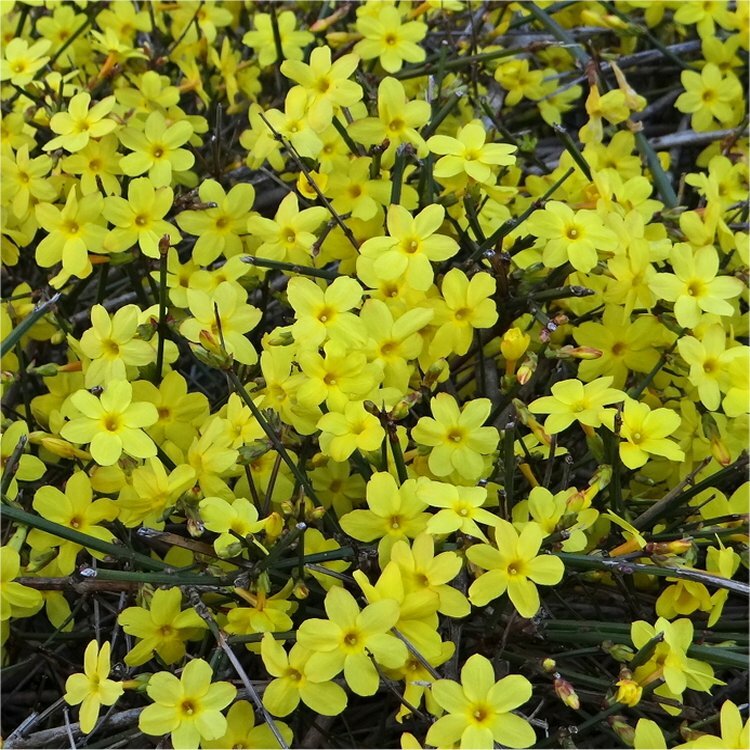 All jasmines need a fertile, well-drained soil in full or partial sun. 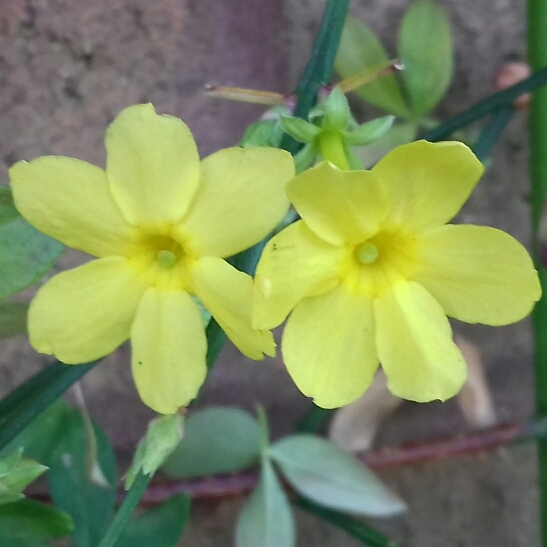 Summer jasmine needs a sheltered spot, full sun and a south- or south west-facing aspect. 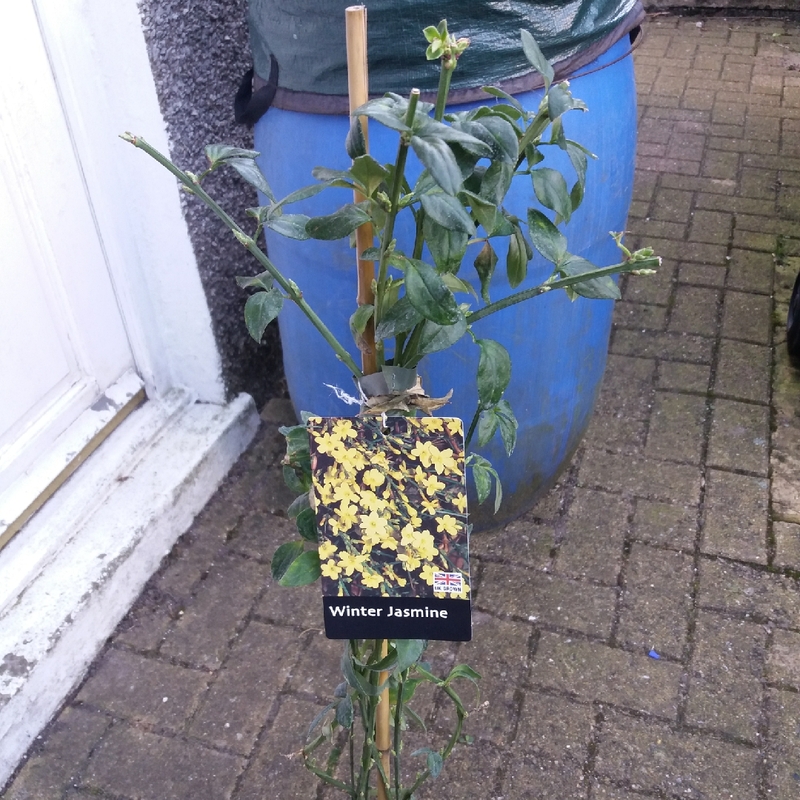 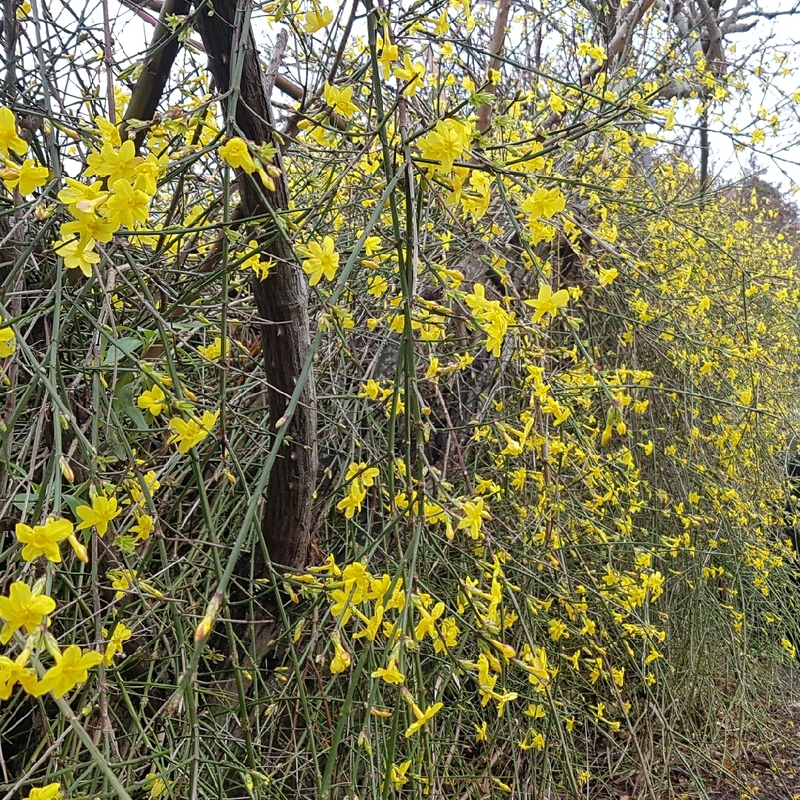 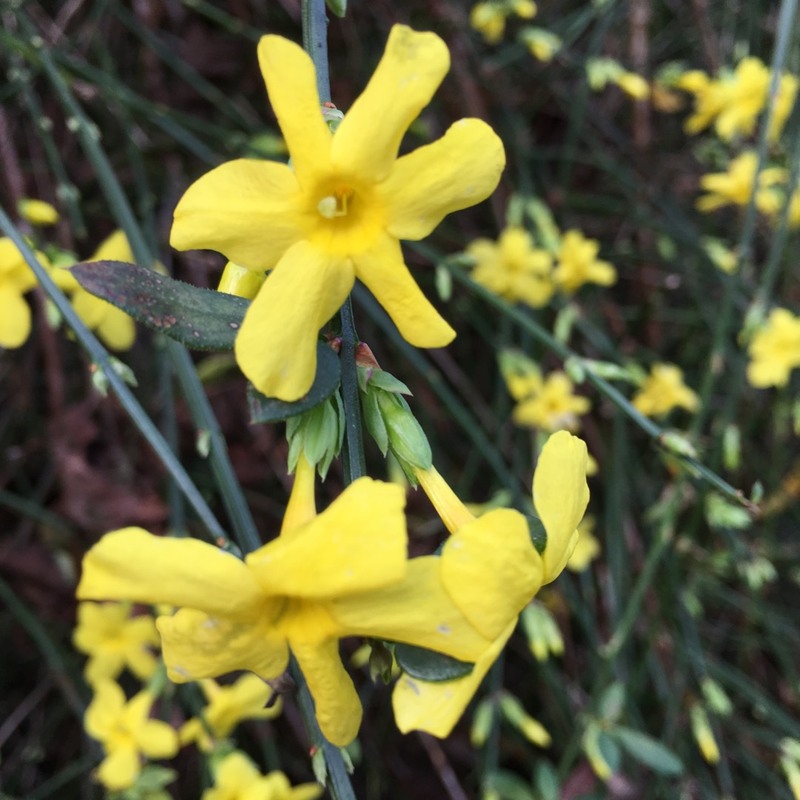 Winter jasmine is more tolerant of partial shade and a south east or north west aspect. 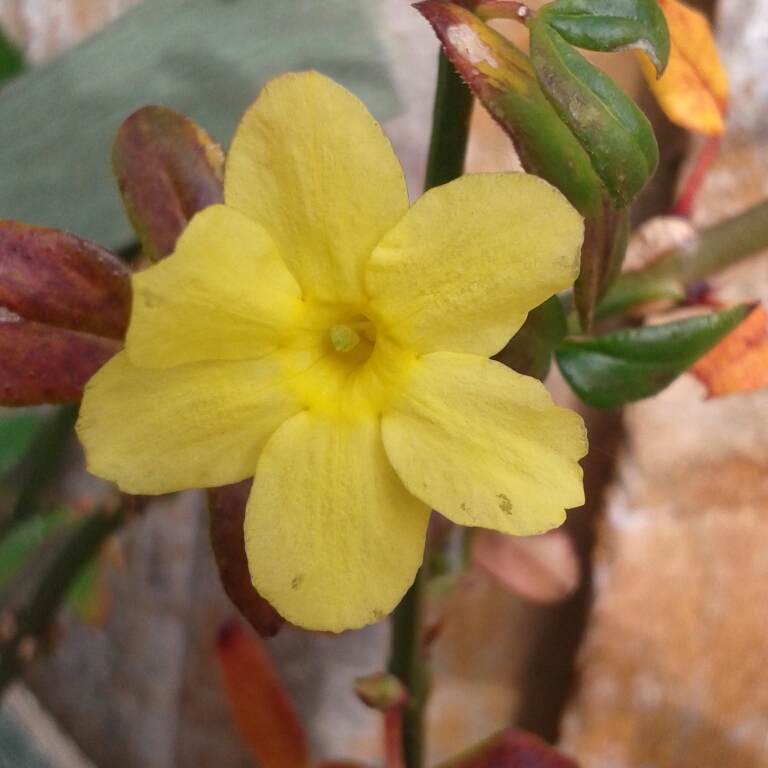 North and north east aspects are best avoided. 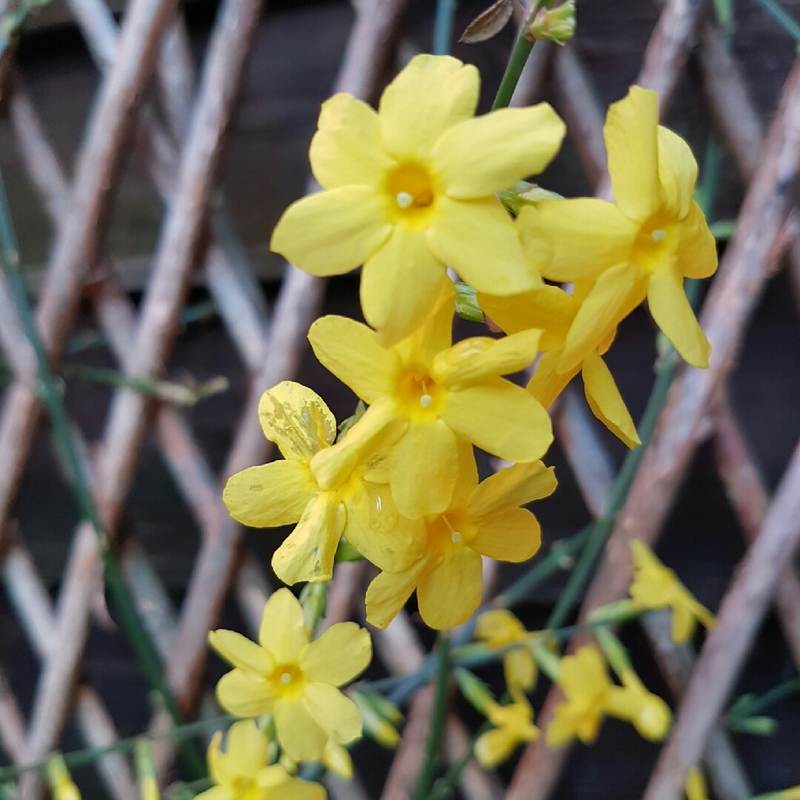 Frost hardy species are fine in an unheated conservatory or a cold greenhouse kept frost-free with a small heater. 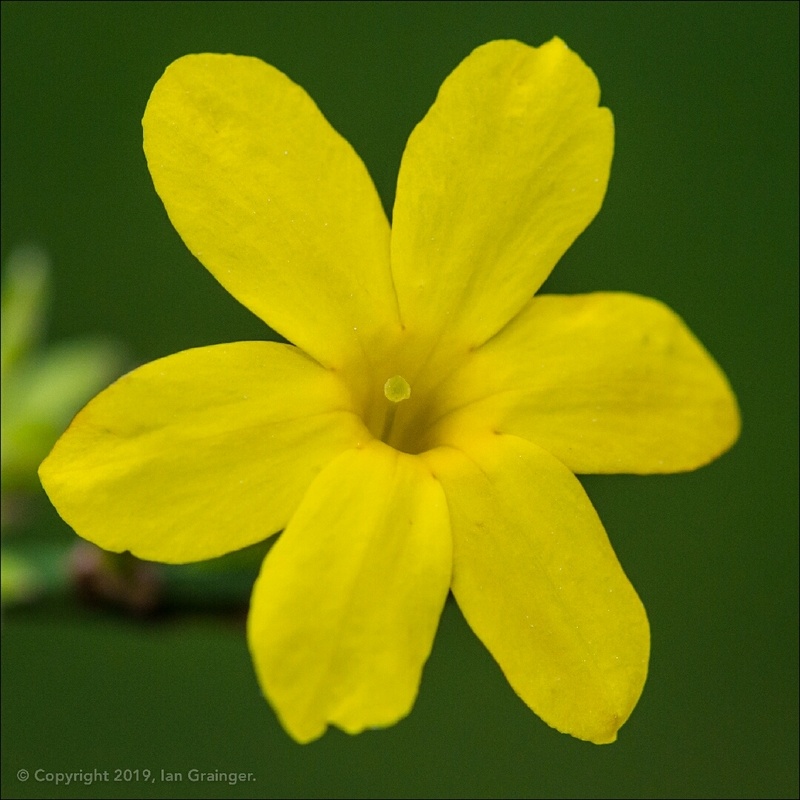 Tender species may require a minimum night temperature of 13-15ºC (55-59ºF). 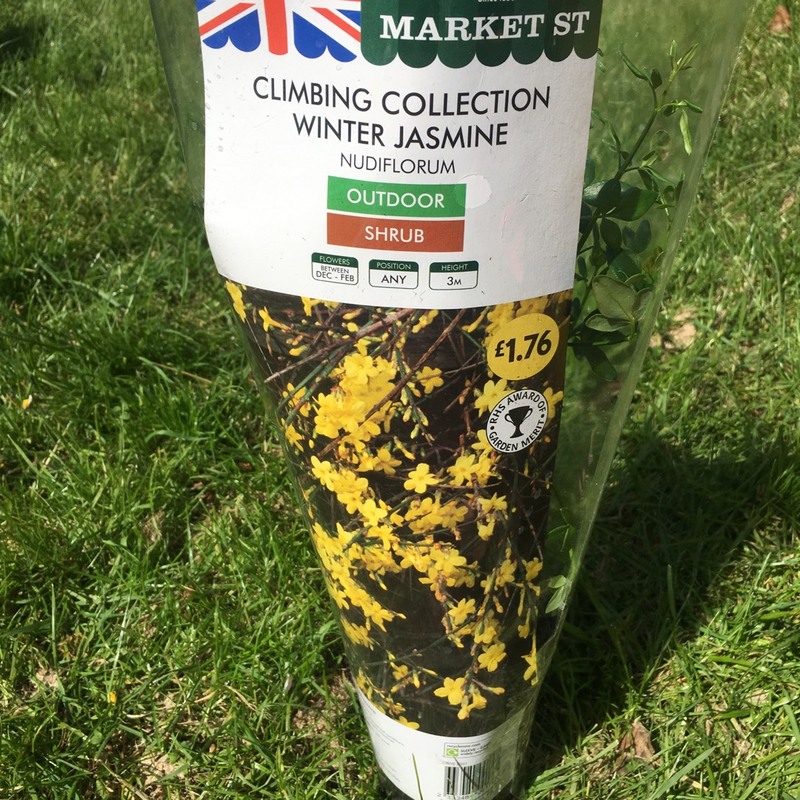 Jasmines make lovely container specimens. 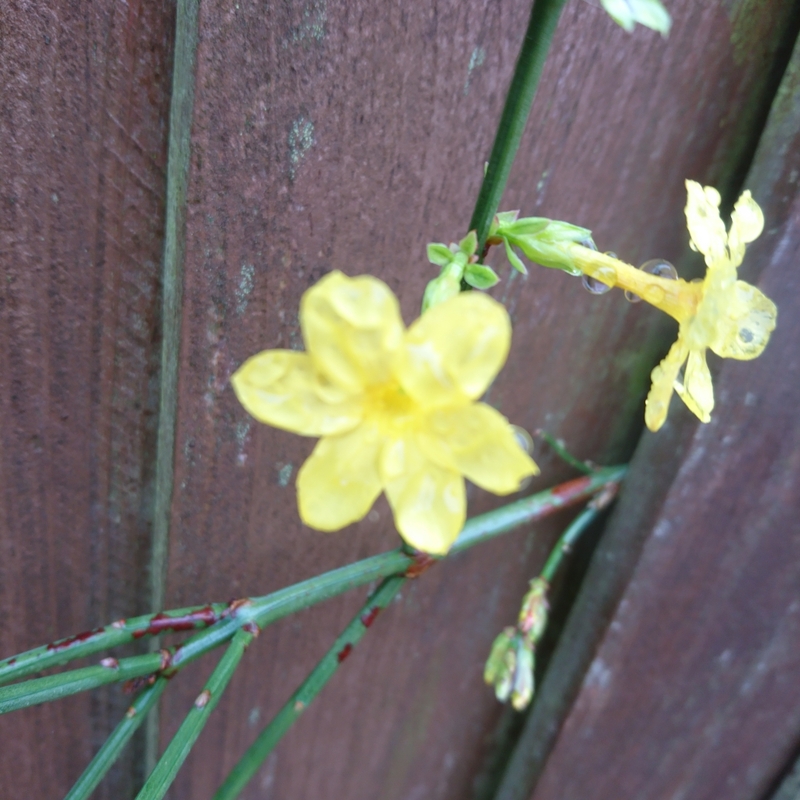 Ensure you use a container with good drainage holes. 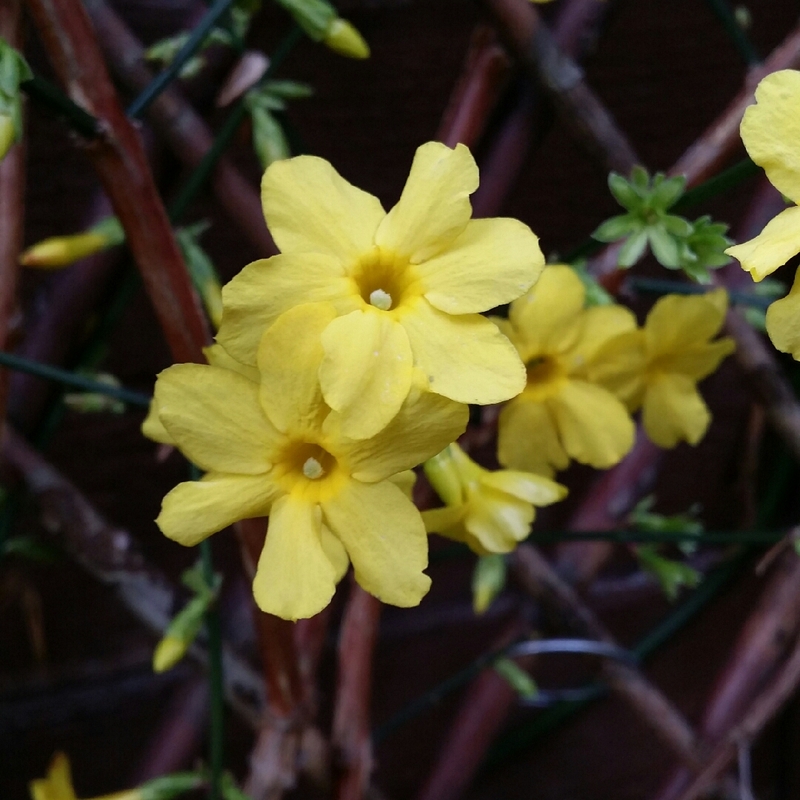 Cover the holes with a crock or too so that the compost does not wash through, and fill with John Innes No 2. 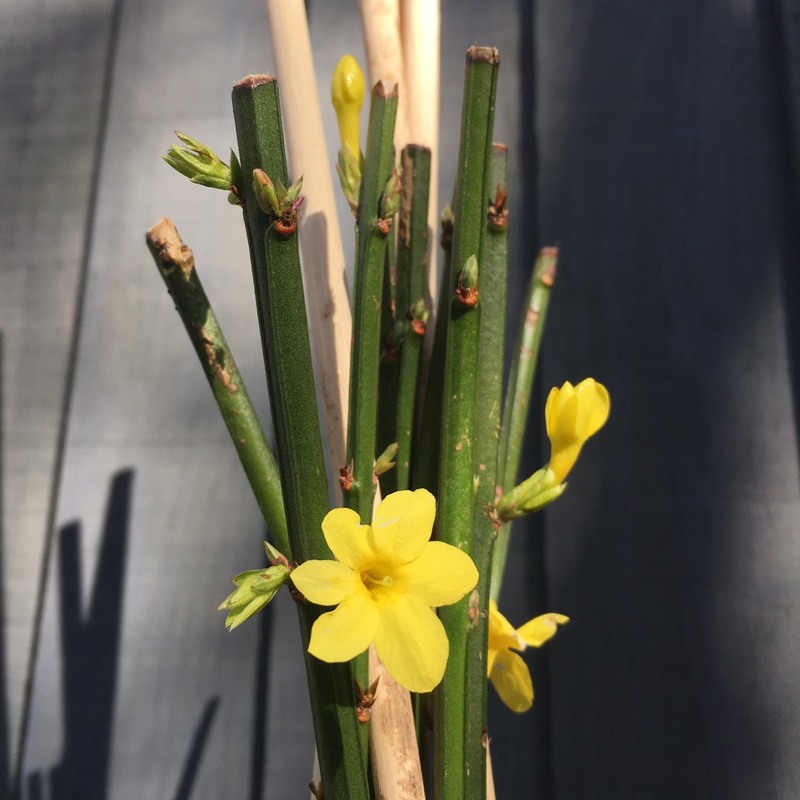 Leave space at the top for watering, and place the pot in bright but filtered light.